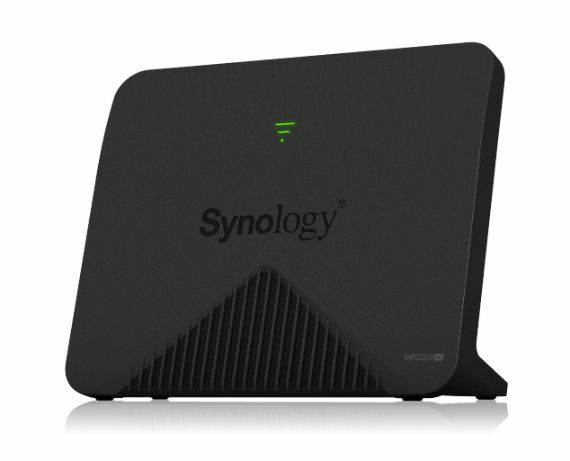 Embrace a whole Wi-Fi coverage in your home and office with the intelligent Synology Mesh Router MR2200ac. Designed with Tri-Band and MU-MIMO technology, MR2200ac makes sure your devices are on the fastest bandwidth dedicated to an optimized performance while keeping multiple devices reliably connected without any delay. Besides, you can enjoy the best Wi-Fi seamless roaming with a single Wi-Fi name among your modular mesh system. Safe Access provides easy-to-use parental management while keeping away any malicious intrusions. 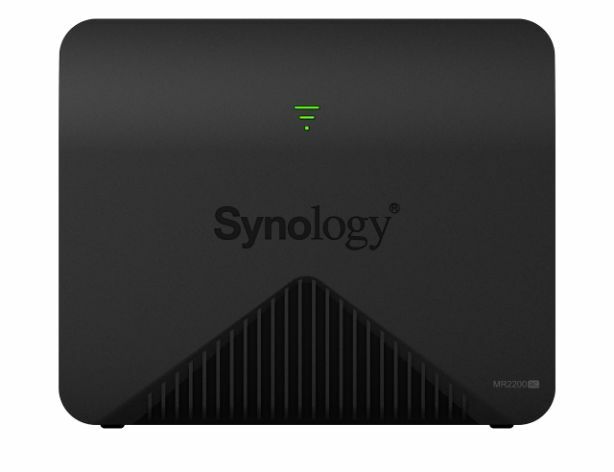 Synology MR2200ac is backed by Synology’s 2-year limited warranty. Brilliant mesh system ready for smart home To build a mesh system, simply extend an existing RT2600ac Wi-Fi network with an additional MR2200ac or integrate multiple MR2200ac mesh routers. The single Wi-Fi name you set allows you to roam from room to room: you can now stream a movie without the signal dropping and enjoy an extraordinary seamless roaming experience. With its Tri-band technology on one 2.4 GHz band and two 5 GHz bands featuring MU-MIMO support, MR2200ac establishes three separated connections and allows accommodation to extra devices to achieve maximum Wi-Fi speeds and reduces congestion. Smart Connect ensures devices are automatically connected to the most suitable band to reach the optimal connection performance - this greatly reduces any delays and interruption. Guest network provides a secure connection and gives public and temporary visitors only limited permission - this keeps the primary network properly functioning and well protected. You can also set up a welcome portal for everyone connecting to your guest Wi-Fi. Tools including scheduling, auto password change, and MAC address filtering also help prevent unwanted connections. With MR2200ac supporting Wi-Fi Protected Setup (WPS), simply press one button to allow your Wi-Fi connection to be automatically configured and enjoy a hassle-free setup. Coupled with the attached USB 3.0 port available for extra storage devices, MR2200ac can easily become your private server that provides effortless access and file sharing. Built with security and stability in mind, Synology Router Manager (SRM) allows for friendly management on your device. The familiar, desktop-like interface makes it easy to use, and also comes with capable network tools that users can quickly setup, customize or efficiently troubleshoot issues. Secure and convenient access options are built into SRM. Easily manage your network with multiple access methods remotely with QuickConnect, DDNS, or with DS router on mobile devices. Optional two-step authentication ensures that no one but you can make changes to your network. In view of limiting Internet usage and protecting children from online dangers, the add on package Safe Access allows you to easily understand the Internet habits of children at different ages. - Profile management: Set rules by users instead of devices with User Profiles to streamline your management. Your Local Network and Guest Wi-Fi can also be specified in one group. - Time management: Internet schedules and Time Quota help you encourage children to use time wisely, and learn to be more organized and productive with limited time online. -Web-filtering: The constantly updated block categories help you filter out inappropriate content and safeguard your children. Besides, you can set up additional whitelists or blacklists so children can only visit or be blocked from specific sites. -Website history: Easily keep track of the access history of each profile and learn more details about your children’s online activities. With the VPN Plus Server1 add-on package, you can transform your Synology Mesh Router MR2200ac into a powerful yet intuitive comprehensive VPN solution. VPN Plus Server provides security and convenience to your remote workforce when you need remote access to internal network resources. WebVPN allows client-free VPN for secured, remote access to internal websites using only a browser without any software installation or configuration required on clients. Synology SSL VPN is available with dedicated clients on both desktop and mobile platforms. Remote Desktop allows employees to easily and securely access resources on their PCs within the internal network through a web browser. VPN Plus Server also supports hosting standard SSTP, PPTP, OpenVPN, and L2TP over IPSec VPN options. Moreover, Site-to-Site VPN2 increases business productivity by boosting cross-premises file transfer speeds for companies with branches in multiple locations, allowing them to share resources across different networks through encrypted tunnels without the need for employees to configure VPN settings on individual computers. Synology MR2200ac offers advanced security features that help make your network more resilient against network intrusions. SRM's built-in Security Advisor will analyze and remind you of security issues in your configuration, allowing you to easily setup security configurations. In addition to the built-in IPv4 and IPv6 firewalls, the DNS/IP Threat Intelligence Database of Safe Access also helps prevent malicious attacks from infiltrating and compromising your devices. To deal with heavy network traffic from multiple applications, SRM offers well designed traffic management solutions. Traffic control keeps you updated in the real-time with detailed information of each application and device, while also allowing you to define the priority of services with application QoS and the guaranteed bandwidth allocation of devices. Thanks to the automatically generated Network Traffic Report, you can easily track the detailed event logs and recent traffic trends. The report duration can be defined from daily to annual according to your needs, flexibly assisting you in network tuning on specific applications and each device. Comprehensive sharing capabilities together with the add-on package Cloud Station Server allows you to create your personal cloud storage with ease. Easily backup, share, and sync your files with MR2200ac from multiple devices. With a capable Media Server package, your MR2200ac can serve as a media server to any smart television set, networked set-top-box, or the latest gaming consoles. DNS server also helps you find web pages, computers, or other network devices at ease by translating domain names into IP addresses. Featuring a USB port, Synology MR2200ac can effortlessly transfer files from USB devices or other clients in the network. MR2200ac supports Time Machine backup with an attached storage device. 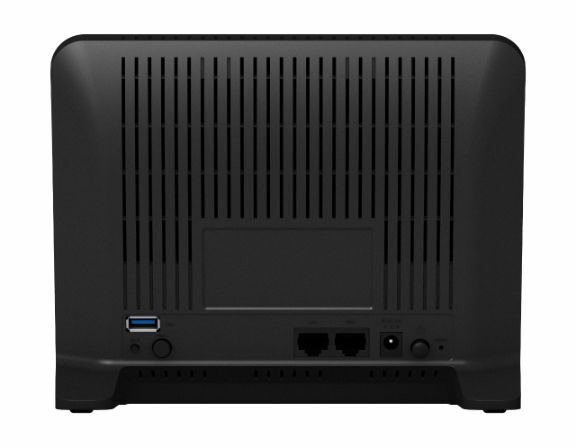 You can also connect MR2200ac to your mobile devices, enable USB tethering, and allow MR2200ac to access the Internet via 3G/4G network. SRM and its ecosystem is constantly growing. Synology is dedicated to providing not just security updates but new features with core software improvements, additional add-on packages, and new supporting mobile applications. Stay up to date with our improvements on our website and via our newsletters!